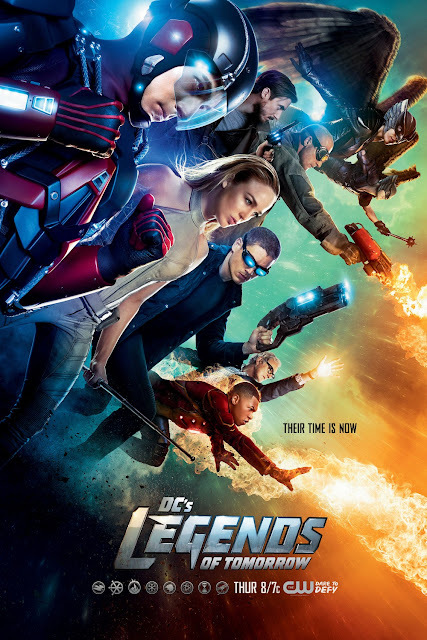 Chrichton's World: Review Legends of Tomorrow Season 1: Filled with many epic moments but not afraid to cut down the magnitude. Review Legends of Tomorrow Season 1: Filled with many epic moments but not afraid to cut down the magnitude. 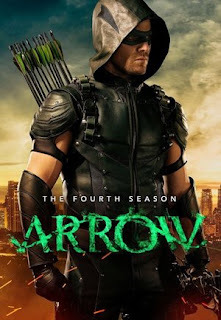 While the original pilot was somewhat different and a lot cooler (since it included The Green Arrow and The Flash) what eventually came about is awesome in it's own right. I enjoyed every episode thus far. However I can't deny that some episodes suffered a little from bad writing here and there especially when it's the time travel concerned. Often this show felt like a high budget version of Doctor Who. In my opinion not always a good thing for a show that actually should be about the super heroes instead of the time mechanics. The better episodes therefore are the ones where time isn't that much of an issue. Luckily though the show redeems itself often reminding us that they have not forgotten what it should be about. I think the majority of the cast were good except I wasn't always happy with how Hawkgirl was portrayed. It could be that she was written that way for the show (for dramatic effect) but often it felt like she was too weak compared to the original character of the comic books. Now I don't know anything about her other than what I read on wikipedia. And it does seem that she should be far more capable and a lot stronger. But I think this is something a lot of CW shows suffer from probably because of budget limitations. I did not like how Brandon Routh as The Atom was treated in Arrow. I mean he once was superman after all. And for people saying that he is boring I dare you and go watch Chuck and then tell me if you still think that. The guy is underrated as an actor. He has a lot of range as long as you let him. Legends of Tomorrow shows this in the Ray Palmer centered story lines. Also finally they got to show how cool The Atom actually is. Very similar to the Ant-Man. (Speaking of which someone do a Ant-Man versus The Atom film. Just make it happen. Actually why not do a series of shorts putting super heroes from different universes against each other. That would make me very happy. You do want to make me happy big time studio bosses, don't you?) Sarah (White Canary) also is part of the team and honestly I think this is almost brilliant. After what happened in Arrow there was almost no place for her. This way however she still can be part of Arrowverse without upsetting and messing with the already established and played out stories. Caity Lotz seems to have great chemistry with both Dominic Purcell (Rory / Heatwave) and Wentworth Miller (Leonard Snart / Captain Cold). Franz Drameh as Jefferson (one half of Firestorm) the relative newcomer is holding it's own and fits in the team quite nicely. Victor Garber as Dr. Martin Stein (other half of Firestorm) is always good. I don't think he is capable of disappointing. Even if he would try to real hard. Legends of Tomorrow is filled with many epic moments but is not afraid to cut down the magnitude so that we won't make the mistake to compare this team of super heroes to The Justice League. The action often is solid to exciting and every character gets the chance to shine in their own way. Legends of Tomorrow is not filled with many twists and turns like in the shows it spun off from but when they occur they do make impact. The show can be serious but also allows a lot of humour and therefore makes it very easy to accept the craziness that ensues from time to time. I like the show and future plans of reworking the format worries me a little. Usually that means a lower budget. I hope that won't affect the show too much. At least this season leaves us with a satisfying ending and hopefully more awesomeness too come. The Return of John Constantine and it is glorious!